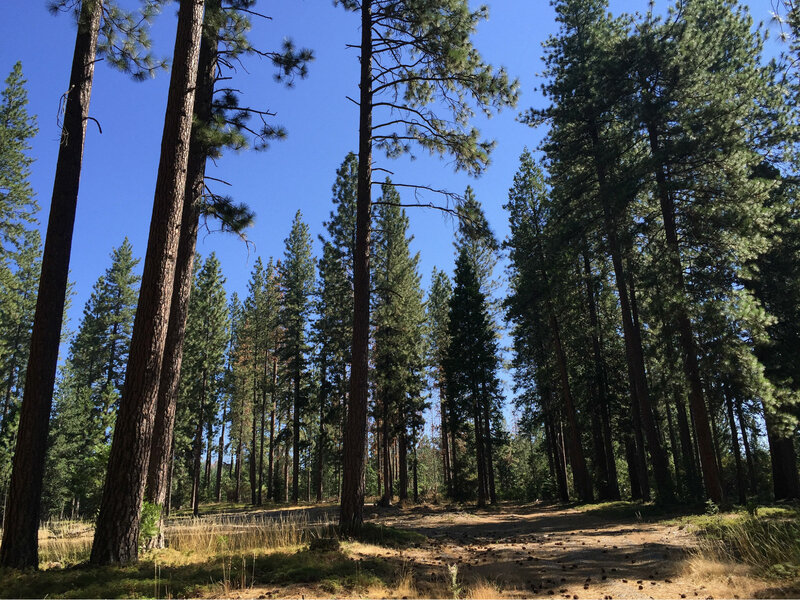 The Bureau of Land Management says its goal for California forests is healthy, green trees that aren’t too tightly-packed together. The federal Bureau of Land Management wants to remove dead and dying trees from 35 California counties, from Siskiyou to Santa Barbara. The agency hasn’t yet identified specific parcels. But BLM forester Coreen Francis says the plan is to pay particular attention to forest land near power lines, roads, private property and trails used for recreation. "Within 200 feet of those areas, we're looking at removing the dead and dying, as well as doing some proactive green-tree thinning,” Francis said. She said this would include prescribed fires and “mastication” work, which is grinding up vegetation and making it less of a hazard. The agency estimates trees on between 2,500 and 20,000 acres of land could be cut down, burned, hauled away or chipped. BLM has a list of "sensitive wildlife species" in the state and the possible effects of each action. The effects include noise, temporary relocation and soil erosion. The public has been asked to submit feedback before any plan is finalized. BLM and the U.S. Fish and Wildlife Service are working together to minimize the effects on plants and animals. "We do a lot with limiting operating periods, retaining certain types of trees, making sure we don't damage the plants on the site by just doing, say, hand-felling instead of bringing machinery in," Francis said. BLM says there are 127 million dead and dying trees in California forests. Agencies working through California's Tree Mortality Task Force have removed 1.2 million since February 2015.